The U.S. Securities and Exchange Commission is conducting an “ongoing inquiry” surrounding Sweetwater Union High School District’s financial dealings, according to a letter obtained by Voice of San Diego. An SEC spokeswoman declined to comment on the exact nature of the inquiry. Sweetwater has been in a fiscal tailspin since September, when officials said they suddenly realized they overspent by $30 million the previous year. Officials maintained that the overspending was accidental and they brought it to light as soon as they became aware of it. 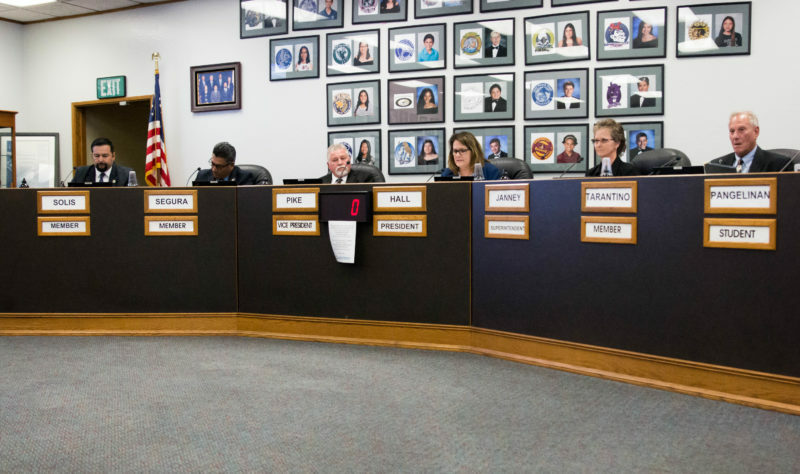 But last month, a state official accused the district of a “cover-up.” He pointed to more than 300 manual entries in the district’s budget that made Sweetwater’s finances look better than they really were. The SEC could pursue Sweetwater for any action its investigators believe defrauded investors or public stakeholders. Central to any investigation would likely be the sale of $28 million worth of bonds last April by the district. The district filed a financial disclosure with the SEC before it sold the bonds that showed the district in strong financial standing. But the district’s finances were worse than the financial disclosure statement indicated. The district, or even individual employees, could be held criminally or civilly liable for misrepresenting financial information to investors. In the world of financial crimes, this is referred to as securities fraud. Sweetwater may have benefited financially from selling bonds while the true state of its finances were unknown. Because it had an “A” credit rating, it may have gotten a better interest rate on its bond sale. Once creditors learned of the true state of Sweetwater’s finances, they downgraded the district’s credit rating in October. If SEC officials file charges against Sweetwater, it’s possible they may also seek to hold individuals in the district’s top brass accountable. In 2013, the SEC charged the city of Miami and its previous budget director Michael Boudreaux with civil securities fraud for masking the true state of the city’s finances leading up to several bond sales, according to the Miami Herald. The SEC sought $450,000 in damages from Boudreaux and ultimately won a judgment of $15,000 against him. Sweetwater board members will vote Monday night on an expanded agreement with their outside legal counsel, Orrick, Herrington and Sutcliffe, to assist in any matters related to the SEC’s inquiry. The law firm will charge Sweetwater $895 per hour for any SEC-related work.